Kendrick Farris (@kendrickjfarris, @blessthegym_kotp) is an Olympian. He is also a friend, role model and motivational driver. Teaching athletes how to achieve their personal best each day they step onto the platform is what Kendrick wraps into the message of Bless The Gym. Sharing similar views and philosophies, Kendrick and I wanted to bridge into an experience. It was a fun 4 days getting to know the man behind Bless The Gym and an even better time co-coaching the athletes. Check out this cool video Nate Helming (@natehelming) put together for us! Making the transition from the clean to the jerk is a skill that can leave athletes feeling a little clumsy and confused. If the readjustment isn’t made smoothly, valuable energy will be spent trying to rework the grip taking away effort the athlete would otherwise focus on putting into the jerk. And that’s a wrap!! Great 3 days spent with a group of amazing people. Thank you all for attending! The best part of these 3 days was watching all the lights go on as people improved their movement. Session 1 of the Bless The Gym + FuBarbell training workshop happening now! PRs are going down. 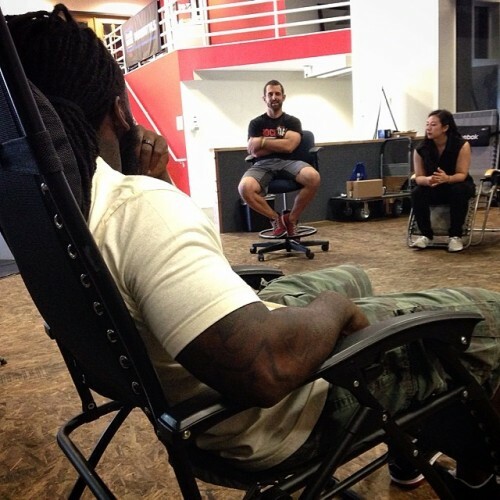 Kendrick Farris (@kendrickjfarris) getting some work done after Day 2 of the BTG + FuBarbell training workshop. The man is wicked fast. 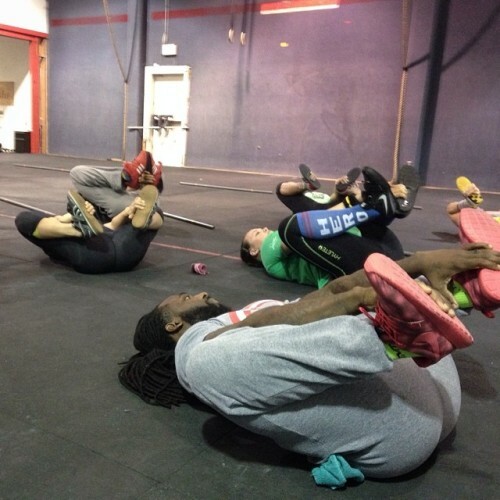 Kendrick Farris (@kendrickjfarris) the warm-up in session 1 of the #BlessTheGym + #FuBarbell training workshop. 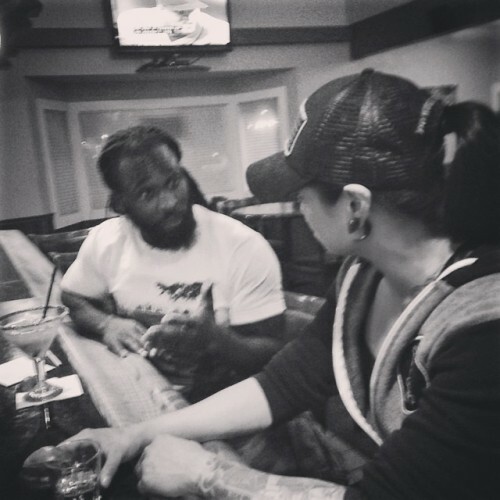 Talking late into the evening about weightlifting technique and philosophy. 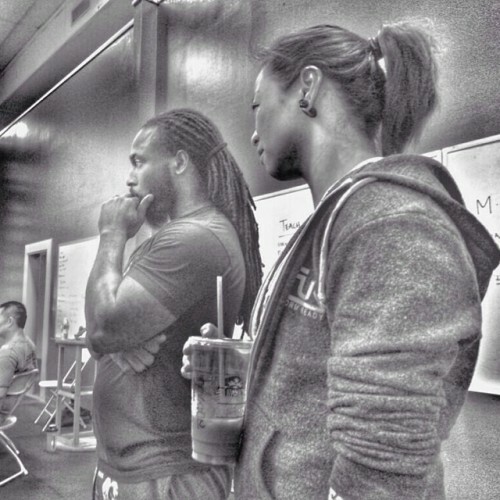 Kendrick Farris (@kendrickjfarris) and I bridging the gap on movement theory. 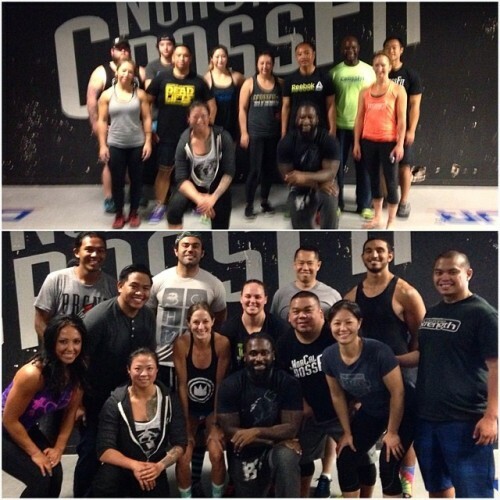 Kendrick Farris (@kendrickjfarris) holding court at the #BlessTheGym + #FuBarbell Meet & Greet at NorCal #CrossFit. Less than 2 weeks out from the Bless The Gym + FuBarbell Olympic-style Weightlifting Camp! Kendrick Farris (@kendrickjfarris) and I will be uniting our coaching skillz and dropping some crazy knowledge bombs over the course of 3 days. A lot of you have been asking, but we will not be taking this show on the road so come hang out with us at Jason Khalipa’s (@jasonkhalipa) NorCal CrossFit and let’s learn how to defy gravity!